Barcelona has been a world renowned, intellectual epicentre since classical times, so it should come as no surprise to learn that it possesses a rich cultural heritage that is second to none. From endless cultural sites to world class architecture, the capital of Catalonia has something to offer all types of travelers. We’ve narrowed down a few Barcelona highlights that travellers should expect to see on our Spain group tours. This, of course, is just the tip of the iceberg when it comes to the amazing activities that Barcelona has to offer. it’s a mouthful!) 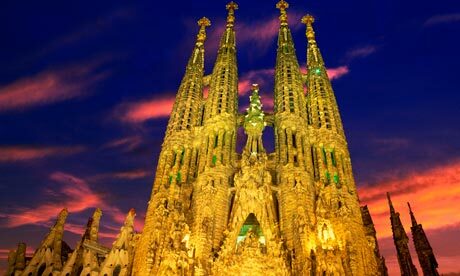 is one of the most famous churches in all of Spain. Despite being a superb example of the Gothic architecture found in Barcelona’s Gothic Quarter, the construction of the Sagrada Familia actually started around 1882. In fact, the church is not scheduled for completion until 2026, the same year as the centenary of its architect’s death. Stunning travel photographs can be taken of this massive cathedral and a tour inside and out is a must. The history of its construction is almost as interesting as it’s monumental size and beauty. Magic Fountain: Constructed for the 1929 Barcelona International Exposition, the Magic Fountain of Montjuic can still be found below the Palau Nacional, the expositions main site. In the evenings visitors can watch the Magic Fountain combine light, music, and water to create the same spectacles that once enraptured visitors to both the 1929 International Exposition and the 1992 Summer Olympics. Another must see offering plentiful opportunities for travel photography. Picasso considered Barcelona to be his home, so it should come as no surprise that there is a Picasso Museum in the beautiful neighbourhood of El Born. 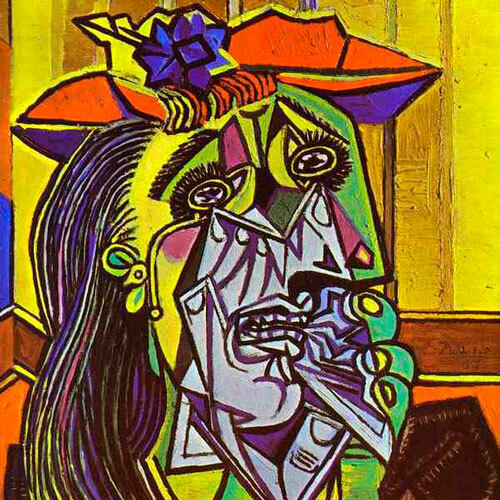 Although the Picasso Museum contains none of his most famous masterpieces, its collection is interesting and includes early sketches that outline Picasso’s progression over time. If you want a great cultural experience in Barcelona, a visit to the museum is a must. 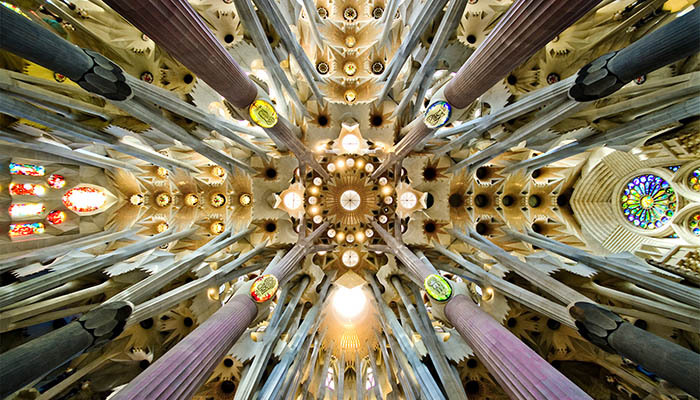 Whether with us or on your own, make sure you put Barcelona on your travel bucket list! There is something for everyone here (and we didn’t even touch upon the amazing food). Immerse yourself in the eclectic but nonetheless breathtaking mixture of old and new that is Bacelona. I don’t see dates, or cost for Spain trip. Sounds exciting! Hey. I’m going to Spain this July. When are you planning the tour? I have been practicing my Spanish for a trip to Spain or South America. Do you have any dates for this trip or are you seeing if there is any interest out there? No dates set yet but definitely hope to plan a trip for 2016-2017 time period. Sign me up when available !!!! !